One of my first few foodie experiences was eating at Gordon Ramsay’s STEAK restaurant in Las Vegas back in 2012. He is famous for his Beef Wellington, served medium rare with some mashed potatoes. It was delicious! I wanted to remake it and on our first attempt, using the oven, it was completely brown inside. FAIL! But Anova saves the day! Total success and no guessing game anymore. 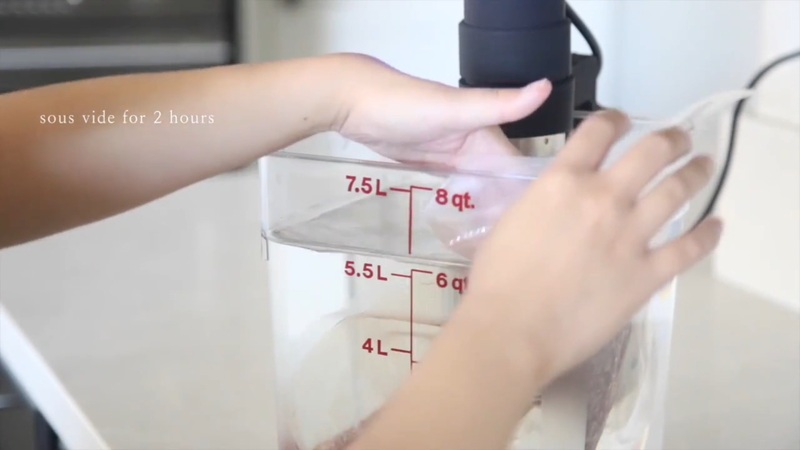 This once intimidating recipe is dead simple with Anova. 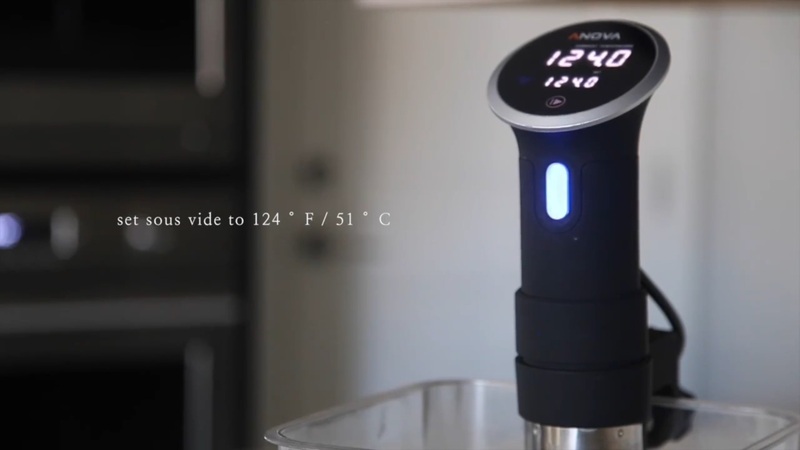 Set Anova Sous Vide Precision Cooker to 124°F / 51°C. Season beef tenderloin with salt and pepper. Place in vacuum bag or resealable ziplock bag. Submerge and cook for 2 hours. 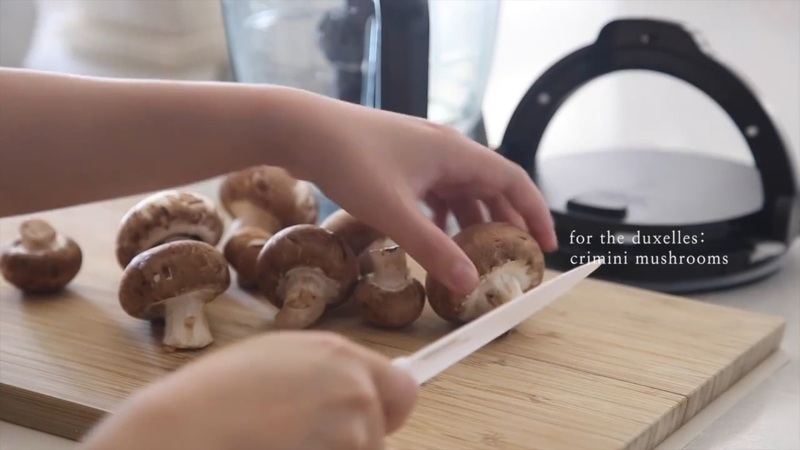 Finely chop mushrooms, in food processor or by hand. Add shallots and garlic to hot pan. Cook until soft. Add chopped mushrooms and cook until all water has evaporated. Add 1 tablespoon of butter and cook until combined. 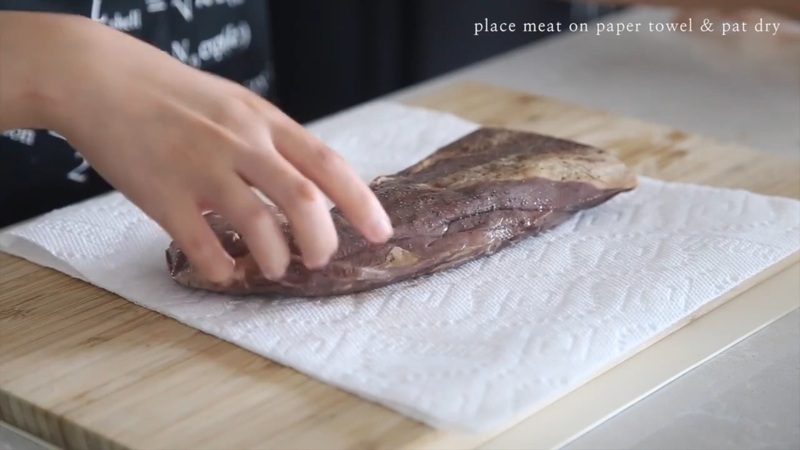 Remove beef from bag and pat dry with paper towels. Heat oil in a cast-iron pan until shimmering. 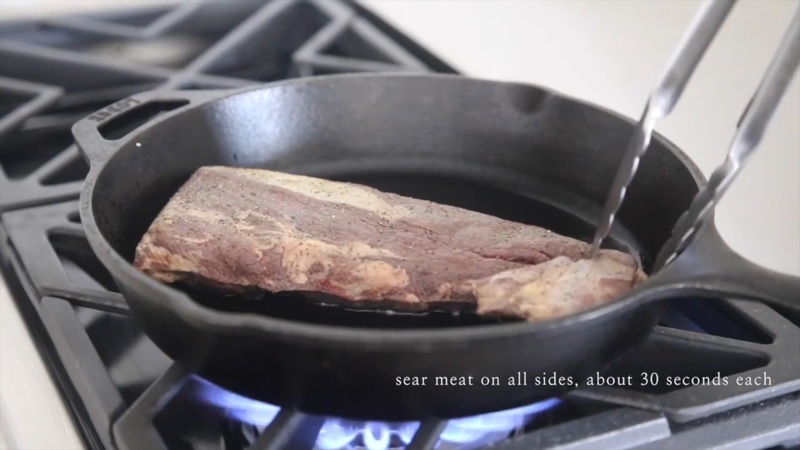 Sear all sides of beef until golden, 30 seconds a side. 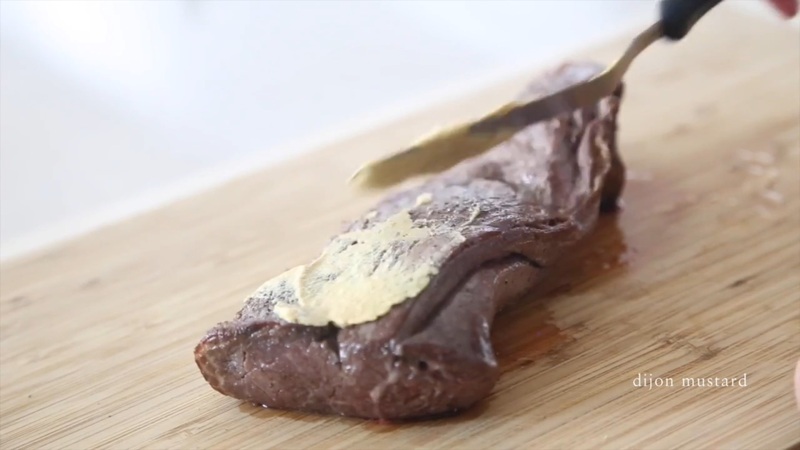 Spread dijon mustard all over the tenderloin. 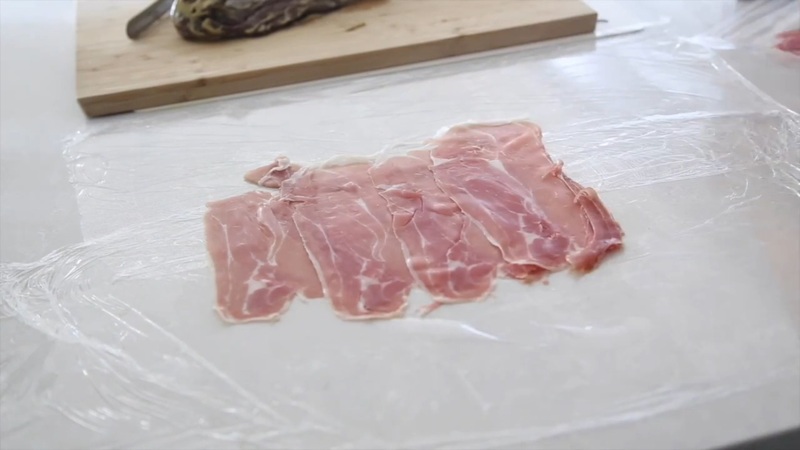 Lay plastic wrap on a surface and arrange prosciutto slices horizontally with each slice slightly overlapping each other. 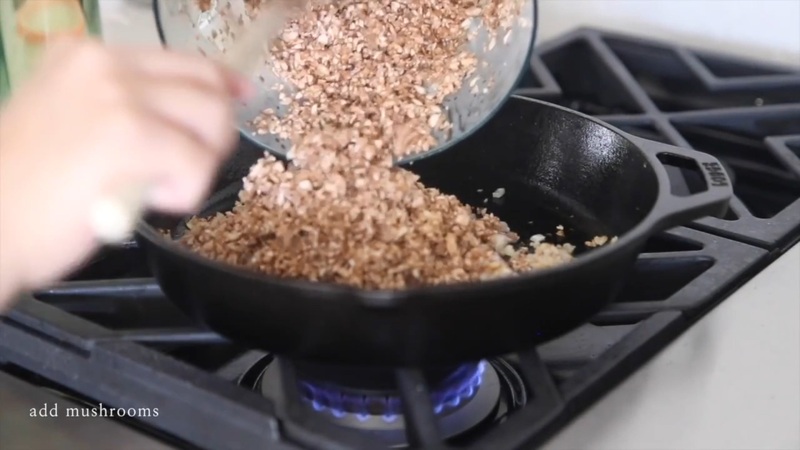 Spread the duxelles thinly over the prosciutto. Place the tenderloin on top of the duxelles. 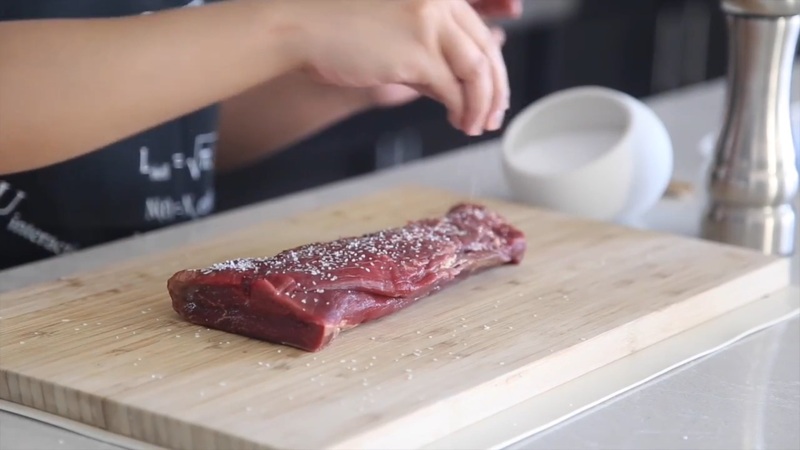 Slowly roll the tenderloin with the plastic wrap and roll tightly. Place the wrapped tenderloin in the freezer for about 15-20 minutes. 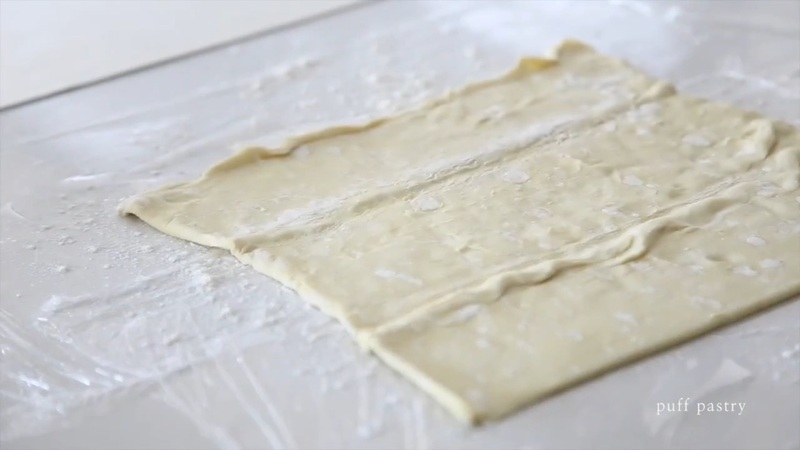 Roll out the thawed puff pastry with a rolling pin until smooth. 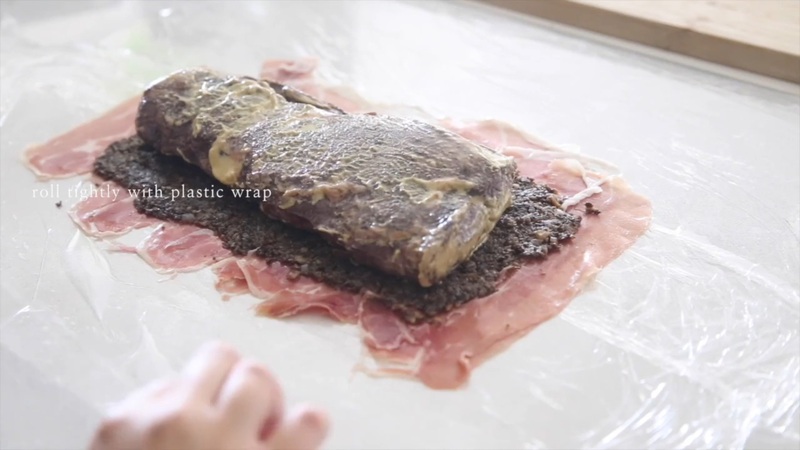 Brush the puff pastry with egg wash.
Unwrap tenderloin from plastic wrap. 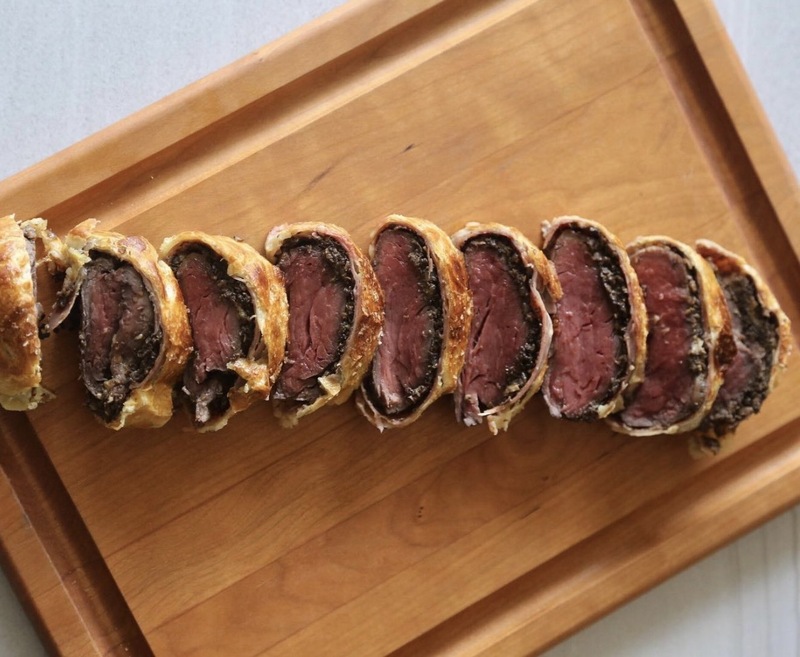 Place the tenderloin on the puff pastry and slowly wrap it. Cut off excess. 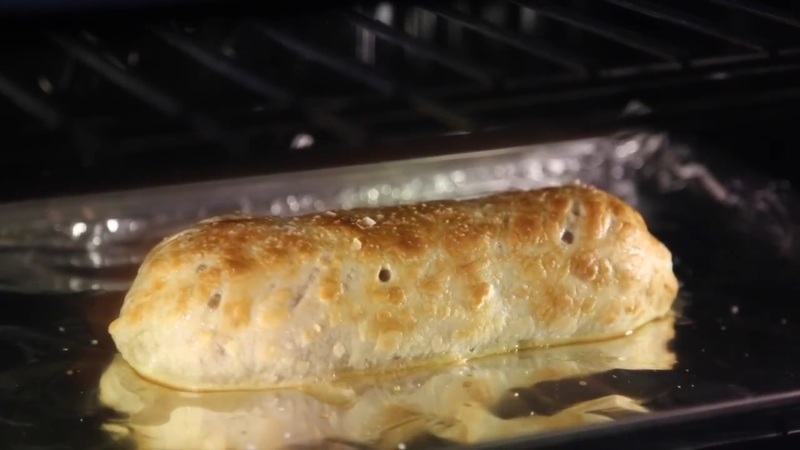 Place the wellington on a cookie sheet lined with parchment paper and bake at 475°F for about 10 minutes or until the pastry is golden brown.